Over 13 years has gone by and the long-awaited sequel “Kingdom Hearts 3” has finally arrived. The action role-playing game was developed by SquareEnix, a company known for making hit games like "Final Fantasy," "Life is Strange," and "Tomb Raider," but they also collaborate with the Walt Disney Company. Many may imagine a Disney-themed game not to be as compelling as other action games, but once you get into "Kingdom Hearts 3" you can’t help but want to finish the wholesome adventure. Players get to explore worlds like “Halloween Town” or “Agrabah” looking for treasure while being accompanied by many different Disney characters. In the game, you’ll get to visit iconic worlds from the “The Lion King” and “Beauty and the Beast,” among others. 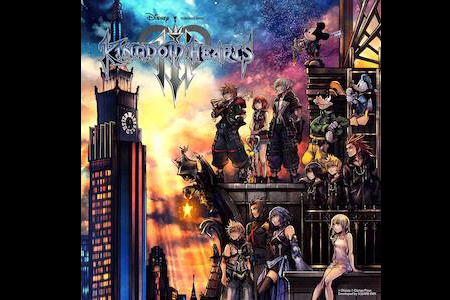 Since so much time has gone by since the release of the last major "Kingdom Hearts" game, there is a lot of hype surrounding “Kingdom Hearts 3.” And for many, “Kingdom Hearts 3” lived up to that hype and gave many fans the closure they were looking for. “Kingdom Hearts 3” takes place right after the events of Dream Drop Distance. In true fashion of “Kingdom Hearts,” you’ll be exploring many different Disney worlds to find the answers you’re seeking within the game along with helping Disney heroes solve their problems. The closer you get towards the end of the game the heavier the emotional substance of the story gets. Opponents and conflicts won’t have much of an impact on the story until after all the Disney worlds have been completed, giving Disney fans more than enough content. For those who have not played the first two installments of the game, “Kingdom Hearts 3” has a story line that is easy to understand by including details to help you get caught up with the story. New Disney characters are added into the story that were not in previous games, the most popular titles being "Frozen,” “Tangled,” “Monsters Inc.” and even “Toy Story.” The movies translate flawlessly into video games and the brand-new mechanics work really well. "Kingdom Hearts 3" isn't perfect however. The characters and dialogue can be stilted at times and the camera feels janky more often than not. There’s a response delay between the player’s button press and the onscreen reaction that’s attributed to the game’s frame rate problems on the regular PlayStation 4. These are minor issues that are easy to look past, like how some worlds also cut large parts of the story or fail to give characters relevance to the plot. At times the player will be completely lost without the whole background of a movie.